With today's episode, I think it is safe to assume the Dell'Otto train is at full speed ahead, with his covers just going bananas. I believe the next artist to start gaining speed is Adi Granov. He has some amazing stuff out there, and there are a few items that are definitely heating up. But for the most part, a lot of his comics, and variants can be had for reasonable prices. 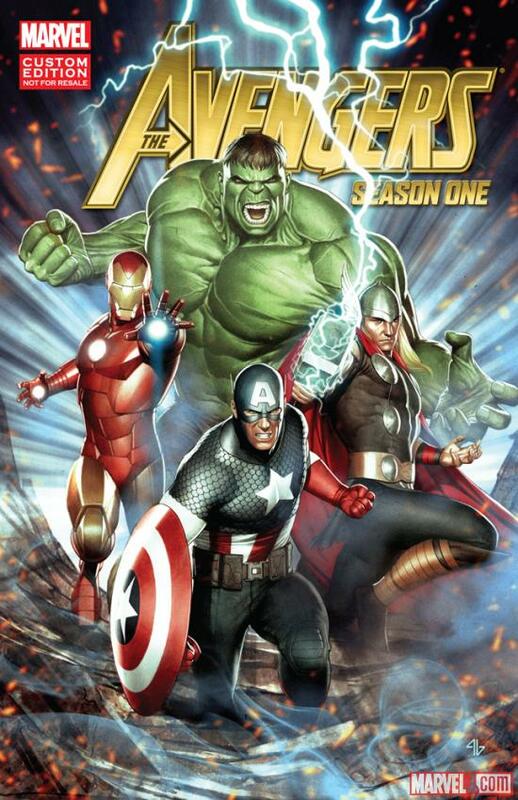 For today's episode, I give you Avengers Season One, with an amazing Granov cover of the original four Avengers. This was a giveaway with a Blu-Ray purchase of the Avengers, only available at Walmart, back in 2012. These are very reasonable right now, on both the bay and zon. All are less than $15. I will say there are not very many right now though. If Granov does get his rightful due and his comics do start to take off, ala Dell'Otto this is one I would get and stash away. Great cover by an amazing artist. Damnit Jason! I didn’t even get to put my Granov plan into play! All kidding aside, this is a TPB or GN, can’t remember which and not an actual comic. Already on it. Not the only one, for sure. Proactive in my spec, thanks for the confirmation.